After only five years of acting, 14-year-old actress Marsai Martin (Black-ish) has signed a first-look film deal with Universal Pictures and her production company Genius Productions, according to The Hollywood Reporter. 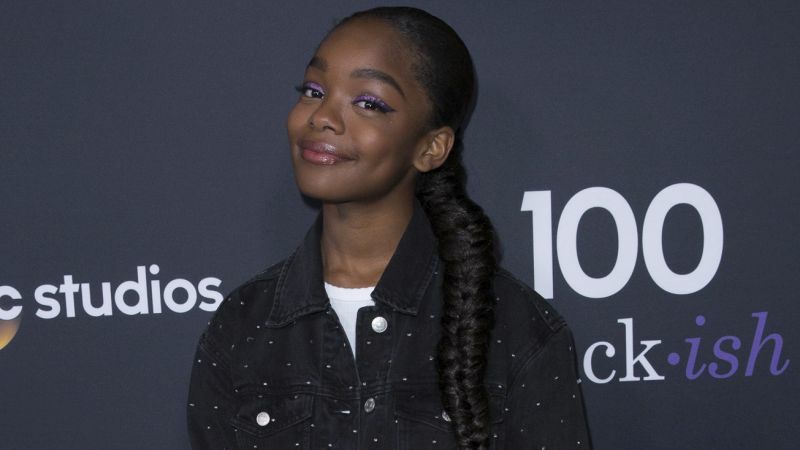 The actress, who broke out in 2014 with her first role in the acclaimed ABC sitcom Black-ish, is not only the youngest person to sign a first-look deal with the studio, but also one of the youngest to get a deal with any studio. She will be developing original scripts for the studio alongside Genius co-founder Joshua Martin, vice president Carol Martin and creative head Prince Baggett, including the upcoming StepMonster, which follows a teenage girl who gets a new stepmom and must learn to adjust her life accordingly, including realizing the real monster may be herself. In just five years, Martin has already had a very successful career, receiving numerous awards and nominations for Black-ish, while also making guest appearances in the Netflix animated series The Mr. Peabody & Sherman show and Unbreakable Kimmy Schmidt, as well as the Amazon Prime original film An American Girl Story – Melody 1963: Love Has to Win. She will next appear in the upcoming Universal comedy Little, inspired by the Tom Hanks classic Big, for which she sets the record for the youngest person to executive produce a theatrical film. Little, which is co-written by Tracy Oliver (Barbershop: The Next Cut) and Tina Gordon (What Men Want) and directed by Gordon, will also co-star Insecure‘s Issa Rae, Shaft‘s Regina Hall and This Is Us‘ Justin Hartley and is slated to hit theaters on April 12. The post Black-ish’s Marsai Martin Enters First-Look Deal With Universal appeared first on ComingSoon.net.